My 10 year old grandson is trying out for the All County Band in his area. He was telling me the piece he has to play is difficult. I told him that practice is a powerful tool. Just 10-15 minutes a day will help tremendously. Obviously the more practice the better, but my grandson has ADHD. Reducing the amount of time on practicing doesn’t make it seem overwhelming – it’s doable. This philosophy will work for anything, including writing. 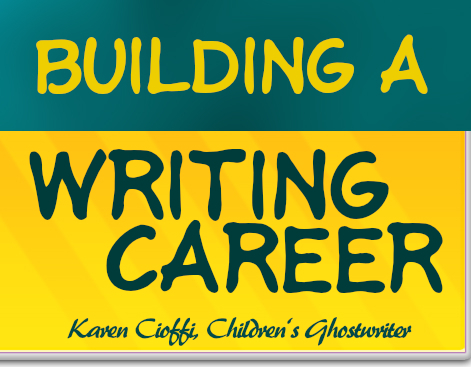 What does it take to have a flourishing writing career? 1. Learn the craft and practice it. To be a ‘good’ writer, an effective writer, a working writer, you need to know your craft. The only way to do this is to study it. If you’re starting out, take a few courses online or offline or both. Get a strong grasp of the basics. There’s a reason that saying has lasted. It’s true. So, what does it mean to practice? Again, even if it's for short periods of time throughout the week, you're practicing. An excellent way to improve your writing skills is to copy (type and/or handwrite) content of a master in the niche you want to specialize in. This is a copywriting trick. You actually write the master’s words and how to write professionally mentally sinks in. Now, we all know that this is just a practice tool. We should never ever use someone else’s content as our own. 2. Focus in on a niche. Have you heard the adage: A jack of all trades and master of none? This is the reason you need to specialize. You don’t want to be known as simply okay or good in a number of different niches. You want to be known as an expert in one or two niches. I would recommend that your niches are related, like memoirs and autobiographies or being an author and book marketing. Along with this, focus produces results. According to an article in Psychology Today on focus and results, Dan Goleman Ph.D. says, “The more focused we are, the more successful we can be at whatever we do. And, conversely, the more distracted, the less well we do. This applies across the board: sports, school, career. So, practice and focus your way to a successful writing career. 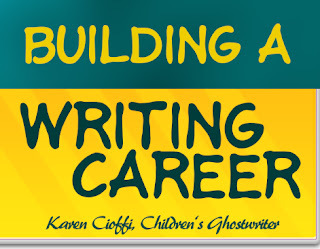 Karen Cioffi is an award-winning children’s author and children’s ghostwriter. She is also an online marketing instructor with WOW! Women on Writing. Writing - How Much Emphasis Should We Use? I am so happy to see this. Too many authors give up because they think in terms of books, rather than careers. Absolutely, Carolyn. There are so many niches for writers to try.